Mesh backed chairs unmatched for value and style. Cool backs and deeply comfortable seats available as standard. 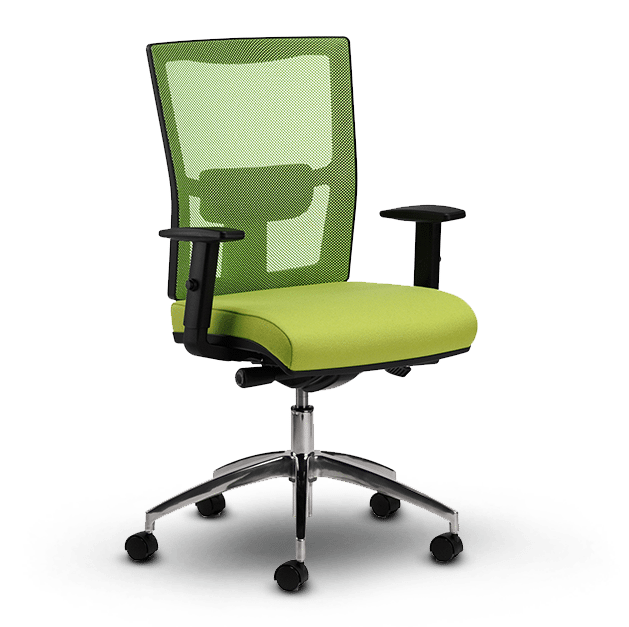 Lite’s specification includes the really rather marvelous Operator Synchro mechanism for great functionality, height adjustable lumbar pads, and a choice of 7 vibrant colourways in the mesh backs. Options include aluminium bases, seat sliders, and folding arms. The range also features matching visitor chairs with black or chrome frames.